Jessica Lee Richardson, Michael Mejia, and Sarah Blackman will join the Bankhead Visiting Writers Series and Black Warrior Review on Friday, October 17th at noon, for a Q&A on the job market, writing outside of the structure of an MFA program, finding an agent, publishing a book, and general writing and real life skills (you know, those things we are all terrible at). The event will be held in room 301 of Morgan Hall on the University of Alabama Campus. The Q&A is open to the public.Light refreshments will be served. Have a question for one of the writers? Send your question to: interns.bwr@gmail.com with the subject: FC2Q. Answers to all online questions will be posted here after the event. Jessica Lee Richardson has recently decided to include “Lee” in her name to mildly distinguish her from the 968 other Jessica Richardson’s in the U.S. She once had a successful theatre career in NYC but left it to go to MFA school in Alabama, where they granted her a degree after four hot, eventful years. Her first book, “It Had Been Planned and There Were Guides,” will be published by Fc2 next fall. The collection won the Ronald Sukenick Innovative Fiction Prize and shorts won awards from the National Society of Arts and Letters and the F. Scott and Zelda Fitzgerald Museum. Stories have appeared or are forthcoming in The Atlas Review, Caketrain, Corium, Hobart, Joyland, The Indiana Review, PANK, Western Humanities Review, and other places. She is taking her first baby stab at web presence! Find links to work and things at: jessicaleerichardson.com. Michael Mejia’s novel Forgetfulness was published by FC 2, and his fiction and nonfiction have appeared in many journals and anthologies, including AGNI, DIAGRAM, Seneca Review, and My Mother She Killed Me, My Father He Ate Me. He has received a Literature Fellowship in Prose from the NEA and a grant from the Ludwig Vogelstein Foundation. A co-founding editor of Ninebark Press and editor and fiction editor of Western Humanities Review, he teaches creative writing at the University of Utah. 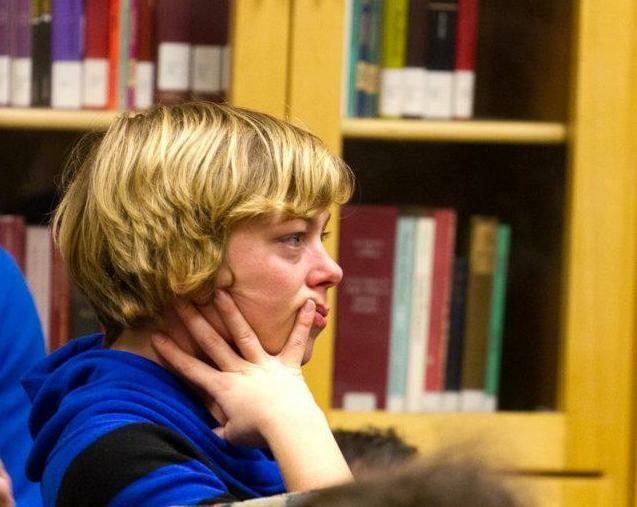 Sarah Blackman is the Director of Creative Writing at Fine Arts Center, a public arts high school in Greenville, South Carolina and the co-fiction editor of DIAGRAM. She is also the founding editor of Crashtest, an online magazine for high school writers. Her poetry and prose has appeared in Western Humanities Review, APR, Conjunctions, and Fairy Tale Review among others. Her story collection, Mother Box, was published by FC2 in 2014. Fiction Collective 2, familiarly known as FC2, is an author-run, not-for-profit publisher of innovative fiction and an imprint of the University of Alabama Press.